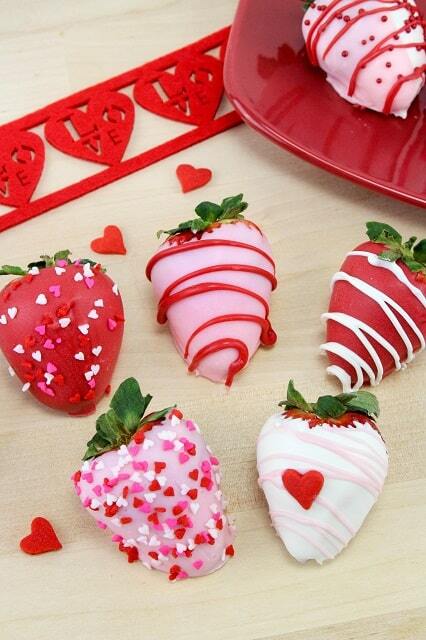 Chocolate covered strawberries are such an easy and beautiful idea for a Valentine’s Day treat! 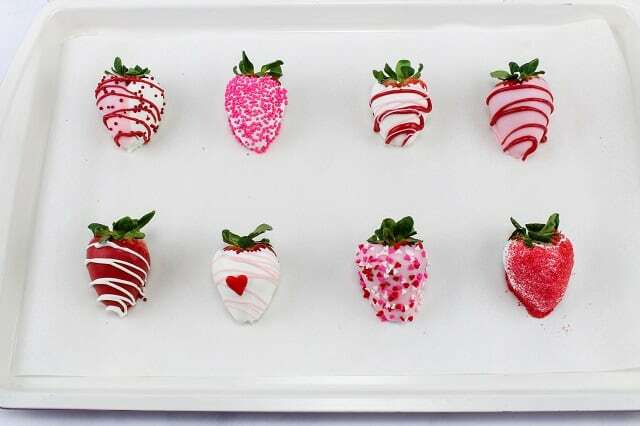 They are so easy to make and since they are chocolate covered strawberries they are delicious too! Everyone loves them! I can’t believe how fast time is flying! Valentine’s Day is right around the corner! Surprise your sweetheart this Valentine’s Day with this delicious treat. Aren’t these adorable! You are sure to put a smile on someone’s face. 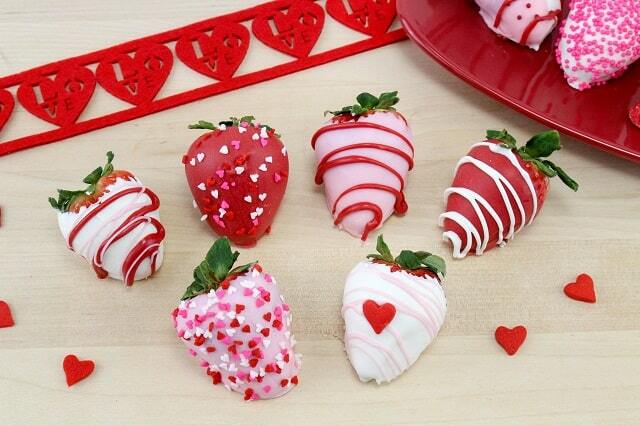 Chocolate and strawberries… it has to be one of the absolute best combinations! These don’t take that long to make, it just depends on how much time you spend decorating them. It’s a bit of a labor of love, but hey, for Valentine’s Day, it’s all about the extra effort, right? I think so! The colors are just perfect for Valentine’s Day! They are so special and will bring a smile to anyone’s face that you gift them to! Surprise your love with a chilled bottle of bubbly, and some chocolate covered strawberries – doesn’t that sound like the perfect way to start (or finish…) a romantic Valentine’s Day evening? You bet! I am like cupid! LOL!! 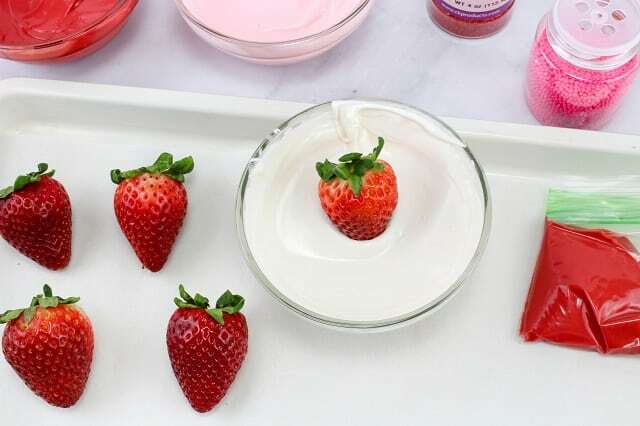 Rinse and dry strawberries. Melt Chocolate according to package directions. (Melt each chocolate one at a time in the microwave, not all three bowls together). parchment lined baking sheet and immediately add the sprinkles. You can also dip some plain and then drizzle a different color of chocolate over it. Have fun and create different looks. Let dry and Enjoy!! 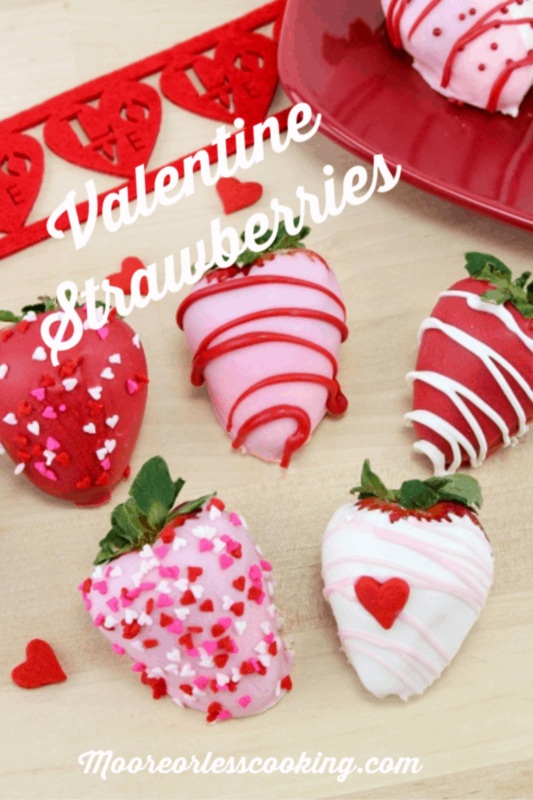 Get the printable recipe below, and be sure to pin these yummy Valentine Strawberries recipe to your favorite dessert recipes board on Pinterest! 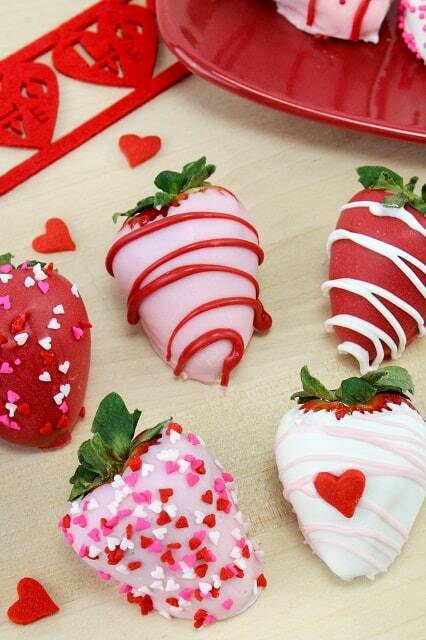 Chocolate covered strawberry hearts are such an easy and beautiful idea for a Valentine’s Day treat! 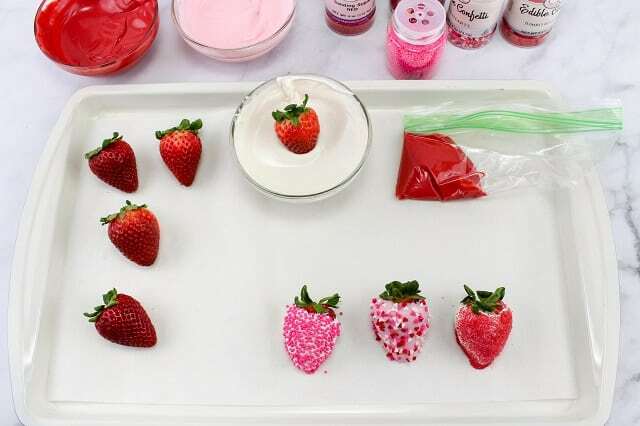 They are so easy to make and since they are chocolate covered strawberries they are delicious too! Everyone loves them! 1. 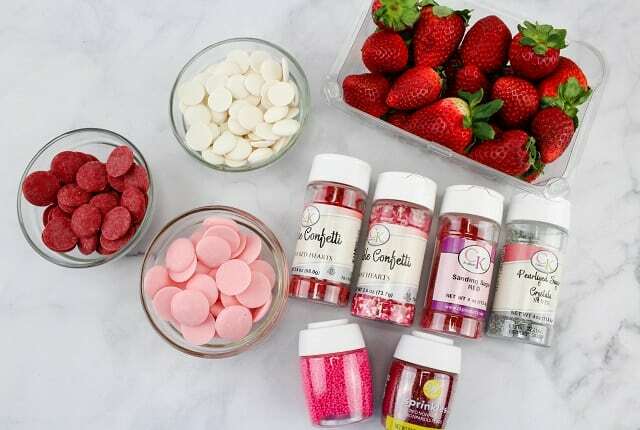 Rinse and dry strawberries. time in the microwave, not all three bowls together). it. Have fun and create different looks. 5. Let dry and Enjoy!! 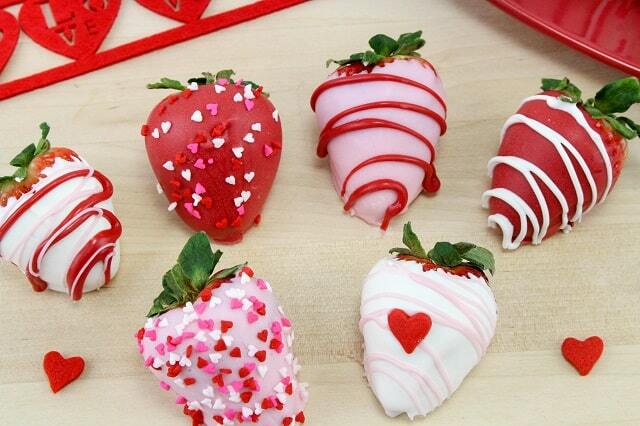 Your Strawberries are just beautiful and what a special treat for Valentine Day! Hope you are having a great week and staying warm. Thanks so much for sharing with us at Full Plate Thursday and come back soon!